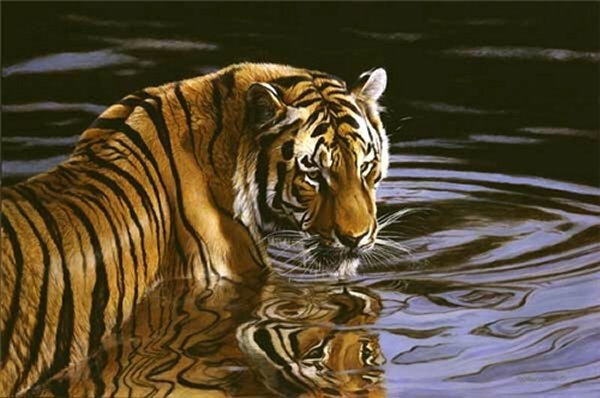 Reflections by Matthew Hillier ~ Is there any species more powerful and well "designed" than the tiger? Hillier's elegant portrait gives us the added dimension of the reflections of the animal's stripes in the water. The tiger is alive; the water is rippling around him. And you are right there. Hillier's special talent lies in taking us right into the water with the tiger -- and at no peril or risk to us!